Zimbabwe’s local currency, the RTGS dollar, has shed more than 20% of its value since its introduction as the availability of foreign currency on the formal market remains subdued. By Friday the RTGS dollar had weakened to RTGS$ 3.0120 against the US dollar, a 20% drop. Analysts attribute the continued slide of the local currency to the limited availability of foreign currency on the formal market, with export earners expecting it to weaken further. “There is a feeling in the market that the formal market rate is being managed by the central bank, so export earners are reluctant to sell. But now that the rate has weakened further, we expect the market to be liquid going forward,”said Walter Mandeya of Trigrams Investments. Late in February, Zimbabwe introduced a new currency called the RTGS, or real-time gross settlement dollar, in the process abandoning its long-held 1:1 parity between the US dollar and its local transactional instrument – the bond note. The introduction of the new currency was also accompanied by the introduction of a market-based foreign exchange market, where the value of the local currency against other global currencies would be determined by market forces, through what is called an interbank market. At the start, the Reserve Bank of Zimbabwe put an official rate of RTGS$2.5:US$1. This has since devalued to current levels. 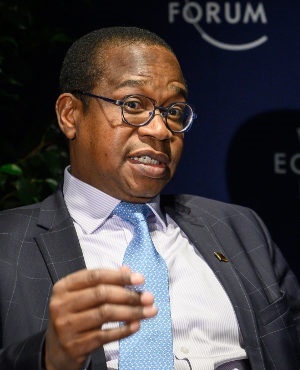 The official exchange rate is however 40% lower than what is prevailing on the parallel market, where the RTGS dollar is trading at 4.2 times the greenback.